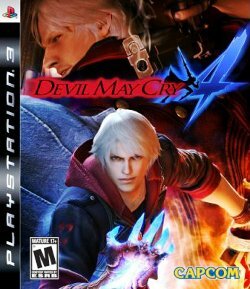 Devil May Cry 4 is the second sequel (Devil May Cry 3: Dante's Awakening being a prequel) to the Capcom action game Devil May Cry. It was released in early 2008 simultaneously for PlayStation 3, Xbox 360 and Windows, and was developed by Capcom Production Studio 4, the producers of Resident Evil 4 and the original Devil May Cry. In the game, the player controls Nero, a new character, in addition to an appearance by series lead Dante, fighting demonic enemies in close combat using firearms, swords and a variety of weaponry in a Gothic setting. Also joining the cast is a new female character, Kyrie. Capcom has also revealed three new characters, Credo, Gloria and Agnus, along with returning characters Lady and Trish. An enhanced version of the game, titled Devil May Cry 4: Special Edition, was released in June 2015 on PlayStation 4 and Xbox One. This version adds Vergil, Lady, and Trish as playable characters. This page was last edited on 10 July 2016, at 02:43. This page has been accessed 29,559 times.